Though some of us might look back at our prom pictures and wonder what were we thinking, the night always remains one of those classic high school experiences that every girl should have the privilege of enjoying. Unfortunately, prom is not a reality for everyone. In fact, 1 in 4 American families can’t afford to send their student to prom. Thankfully, one organization is looking to change that. 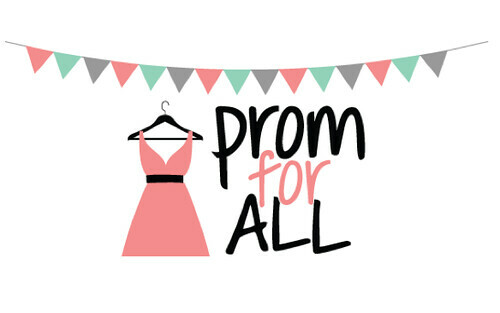 has launched its first Prom for All campaign to collect thousands of dresses for girls who couldn’t otherwise afford to go to prom. Every dress collected will be given to a local girl to wear on her big night. The campaign officially starts this Sunday, April 22nd, and runs through June 22nd. Start cleaning those closets out now… I know you have some cute, forgotten frocks in there! You can donate at a local dress drive, or . Consider this a great way to jumpstart operation organize for a wonderful cause–it’s a win, win! Do you have any tips for the girls getting ready for prom this year? P.S. If you’d like me to do some blogs about prom, let me know in the comments! Also, don’t forget to share this post with your friends and family. Let’s the word about this great cause!